← What’s Your Modern Mom Persona? Join the Expo Modern Mom Contest and Win Prizes! Will it be smooth sailing till later? 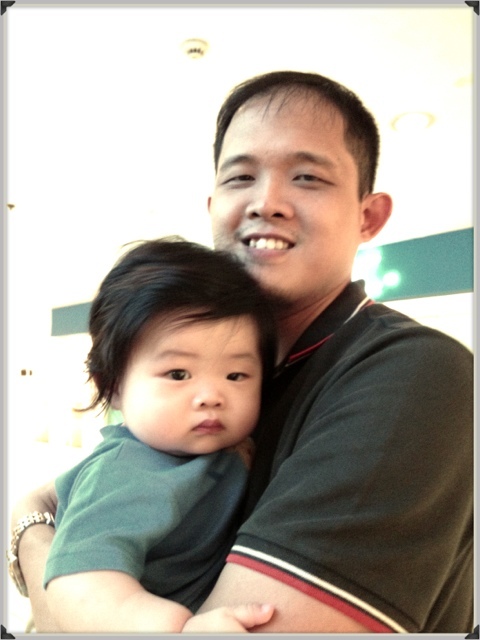 Yaya left for Leyte at around 9AM this morning. She handed Warren over bathed and had just taken his morning cerelac breakfast and 1 round of milk.Warren slept for around 30 minutes. Was initially thinking of just leaving him at home but he woke up before I left. I brought Warren with me to Shrangri-la mall. A client of mine underwent her medical tests at the Healthway Clinic. 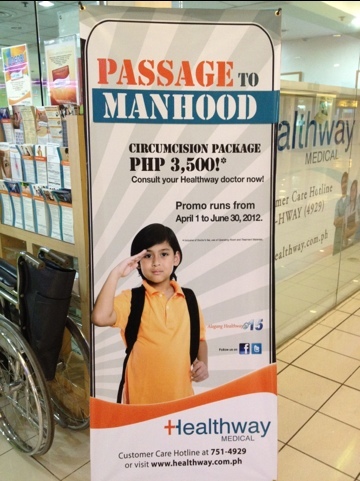 Saw that they were offering a Circumcision package for kids ages 7 – 14 years old for PHP3500.00. Is this cheap? Would you have your baby circumcised at this age or did you have it done a few days after he was born? Since we were in the hospital for a week, H and I decided not to have Warren stay for 2 more days in the hospital for his circumcision. We’re not sure whether to have him circumcised now or wait when he’s 7 years or older. Warren was in such a good mood this morning. 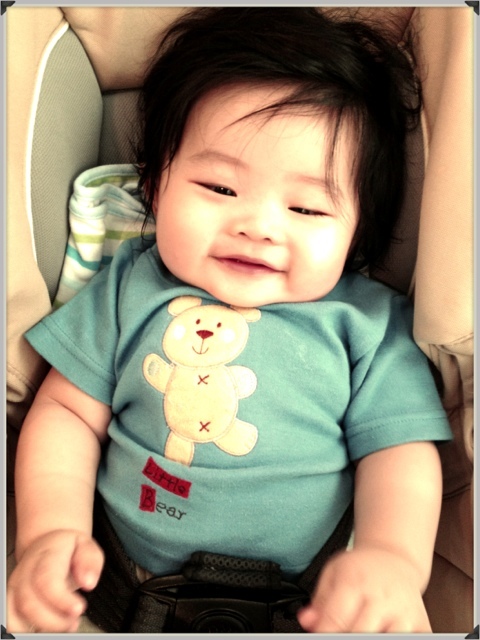 Here’s a nice picture of him on the stroller while we were going around the mall waiting for my client to conclude her tests. We left Shrangri-la at around 130PM and was home an hour later. 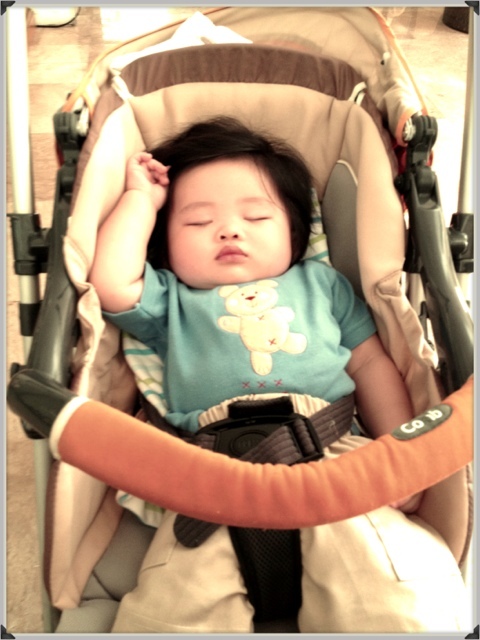 After consuming his 2PMish milk, he slept for an hour. He ate his carrot puree and is now playing with Josie (who’s been with H’s family for maybe 20 years or so already). So far, its smooth sailing. I will be leaving at around 5PMish for a 6PM meeting. Your baby is absolutely beautiful! I’m a Bachelor of Science Nursing student from Canada and I wanted to let you know that no national medical organization in the world recommends infant or child circumcision. In fact, forcing this medically unnecessary and harmful surgery on an unconsenting baby or child is actually a violation of fundamental human rights and basic medical ethics. I strongly urge you to research this issue much more and protect your precious little guy from the harm of forced genital cutting. It’s painful, it’s risky, and worst of all, it violates his human rights. Very best wishes all the way from Canada!